for Thermal Label Printers and Label Makers, 2⅛" x 4"
Eliminate the need for expensive ink and toner by using versatile Thermal Shipping Labels. These labels use direct thermal printing instead of ink and come out looking polished and professional. The bright white material provides reliable contrast and barcode readability. The permanent adhesive ensures labels will stick and stay put to make organizing and locating your things easier. These labels are smudge-free, scratch and water-resistant while repelling dirt, dust and grease. 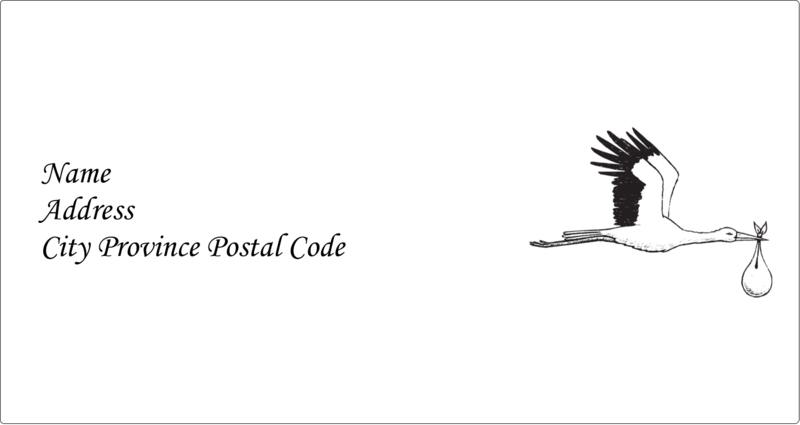 Eliminate the need for expensive ink and toner by using versatile Thermal Shipping Labels. These labels use direct thermal printing instead of ink and come out looking polished and professional. The bright white material provides reliable contrast and barcode readability. The permanent adhesive ensures labels will stick and stay put to make organizing and locating your things easier. These labels are smudge-free, scratch and water-resistant while repelling dirt, dust and grease. The labels come packaged in rolls, making it easy for you to print one label or a hundred. 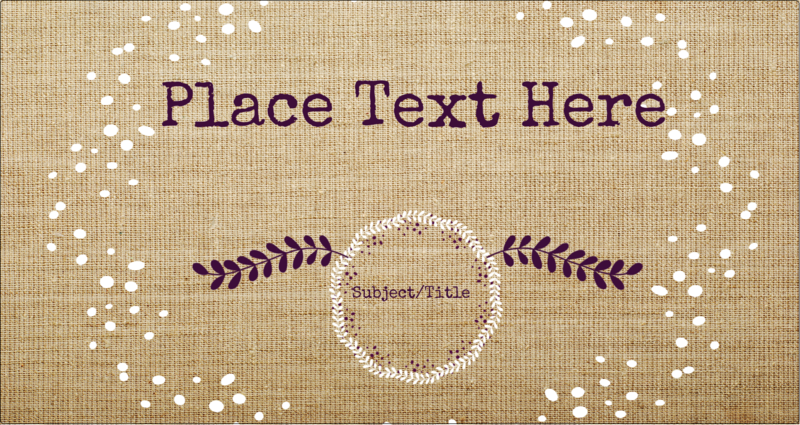 Whether you're sticking them on outgoing mail, file folders or product samples, these durable labels will help bring order to items in your home or office. 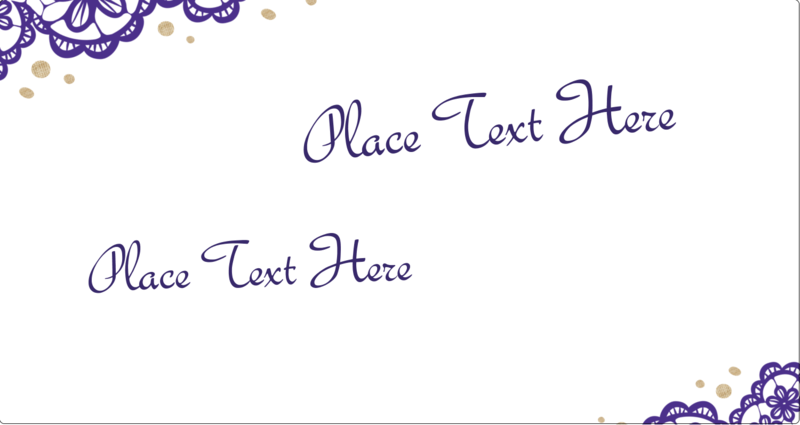 Labels are easy to customize with free templates and designs using the Avery® Design & Print Online Software. Label Size 2⅛" x 4"
Thermal Label rolls are a versatile solution for high-labelling situations when you want to cut down on high cost inks and toners. 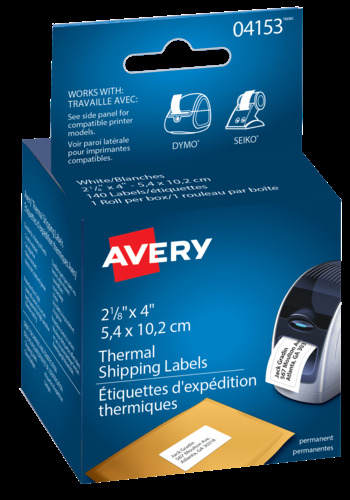 Avery Thermal Labels are compatible with select Dymo® and Seiko® printers.